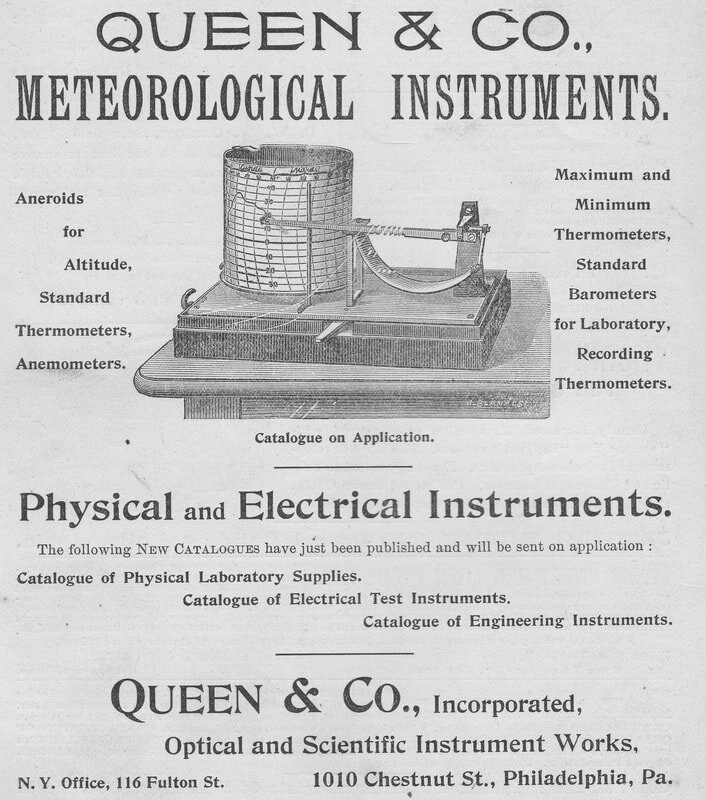 James W Queen & Company was a manufacturer of optical and scientific equipment. They were founded in 1853 in Philadelphia. In 1893 they were incorporated as Queen & Company. In 1912 the company was reorganized by John G Gray as Queen-Gray Co. In 1925, after Gray's death, it became the Gray Instrument Company. They operated as such until 1952. Though not primarily a manufacturer of meteorological equipment, they did make and import barometers, thermometers, and hygrometers.